Short Description: 52 Liter. Special Factory Direct Pricing. Free Shipping. This F50s High Hydraulic power to stuff the densest and most compact mixtures. Control and safety gauge. Speed control next to the operator. 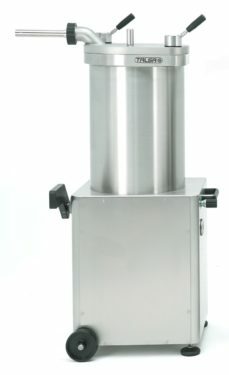 Lid and piston of thick laminated stainless steel, solid, very resistant.